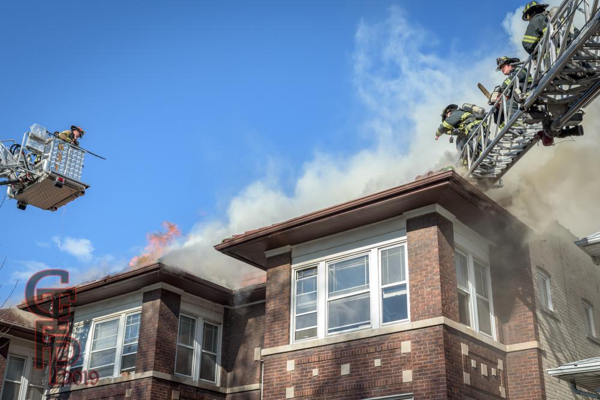 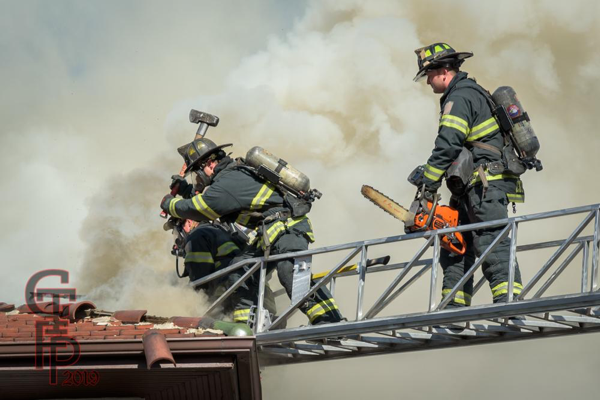 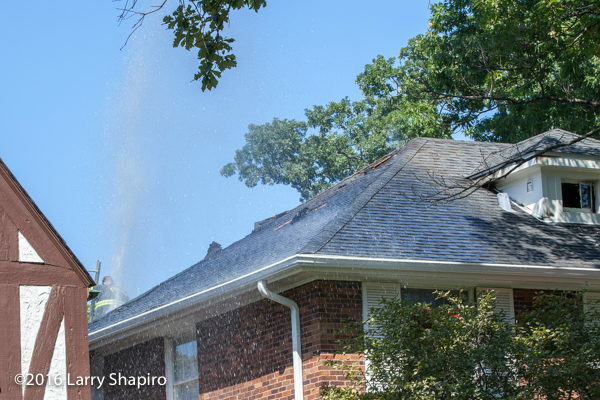 Wilmette firefighters were called to their first fire of the day Monday afternoon just before 2PM (8/22/16) at 1336 Ashland Avenue where workers were apparently on the roof. 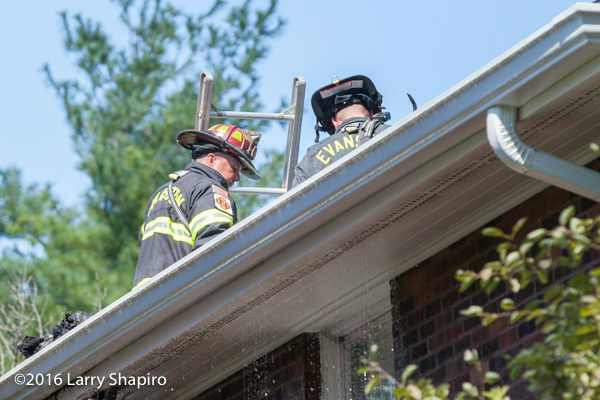 The initial report was a possible attic fire. 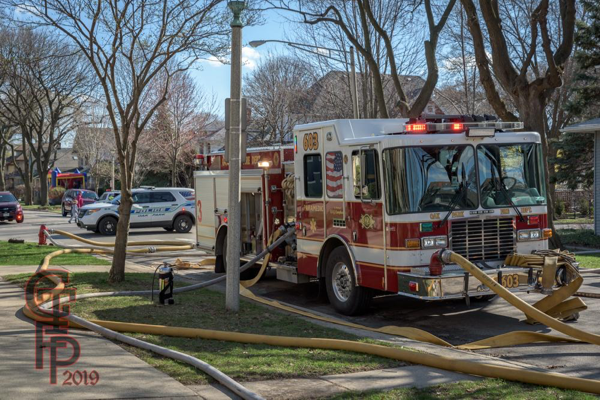 The house was located within blocks of Station 26 and units arrived quickly and reported smoke from the attic and some visible fire. 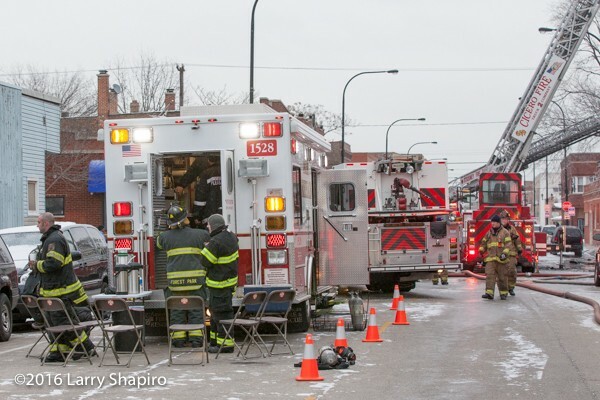 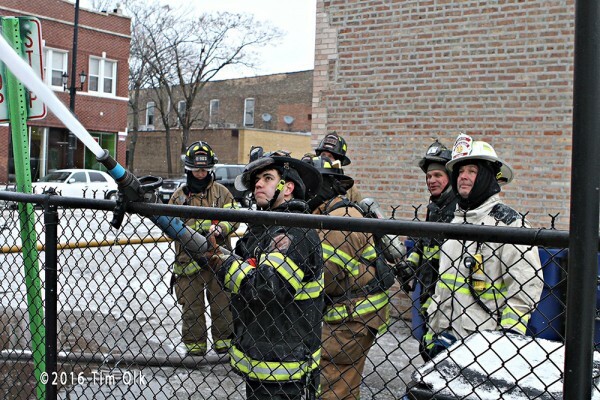 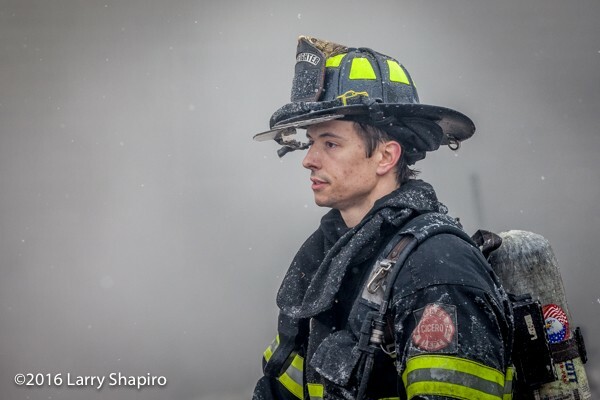 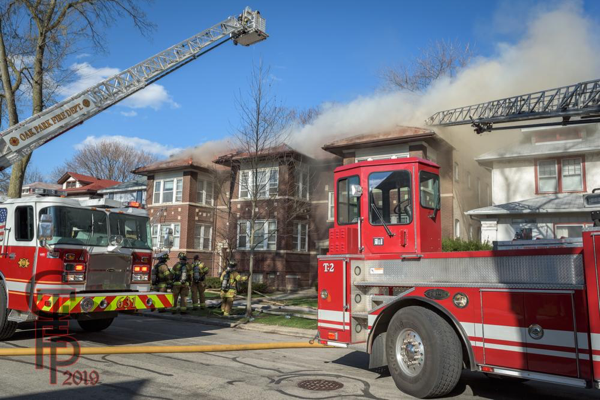 The alarm was upgraded to the Code 4 working fire which brought mutual aid companies from Evanston, Winnetka, Northfield, Glenview, and Skokie. 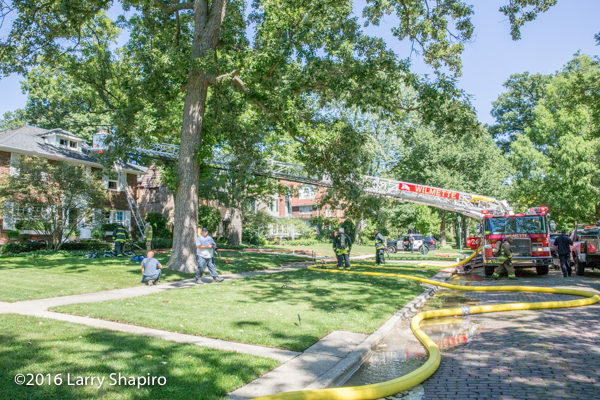 The fire was knocked down within 20 minutes though companies remained on the scene for over an hour doing overhaul, venting, and chasing hot spots. 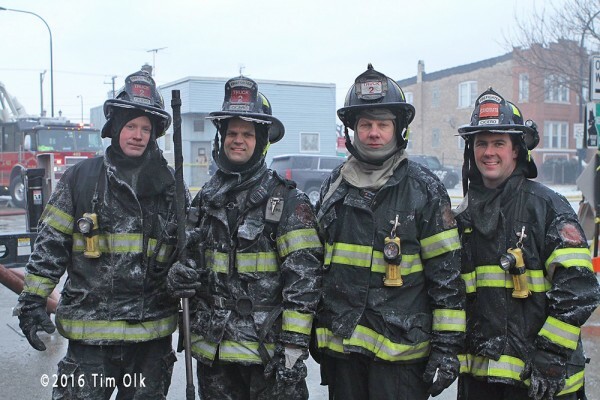 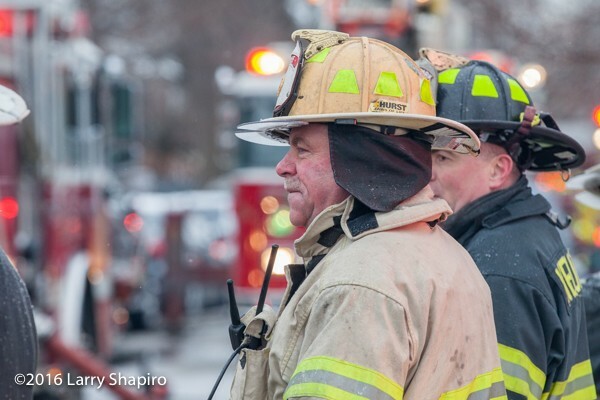 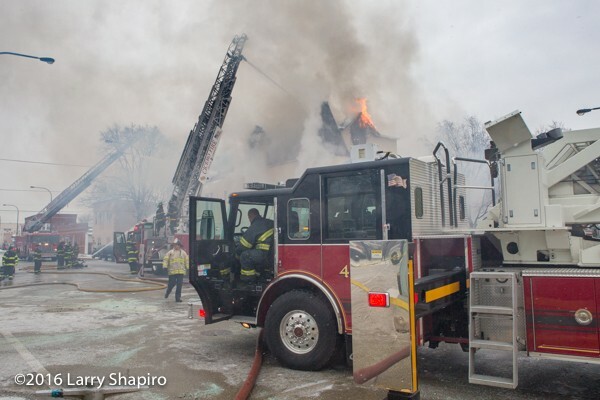 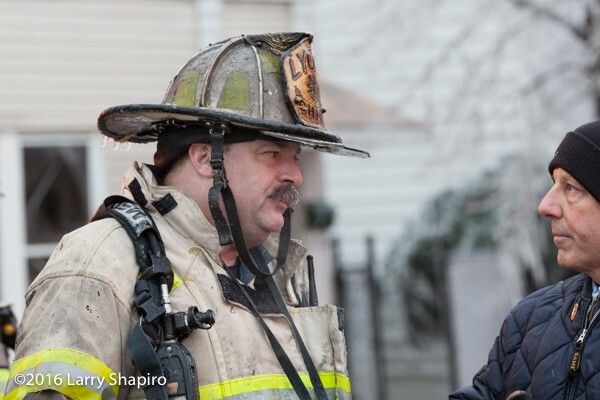 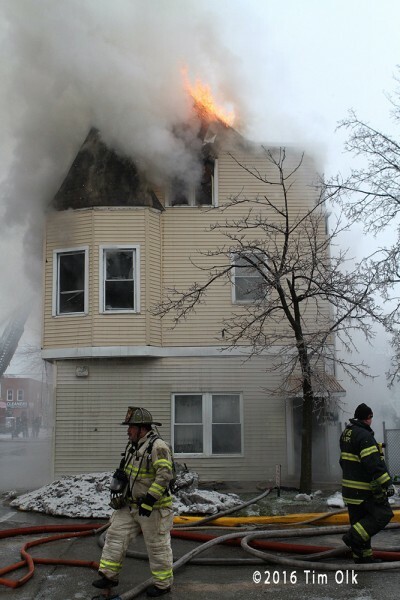 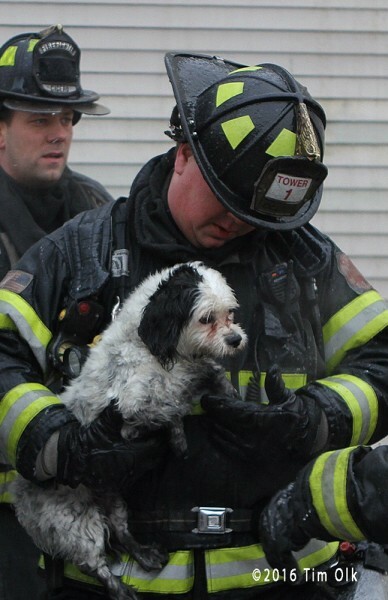 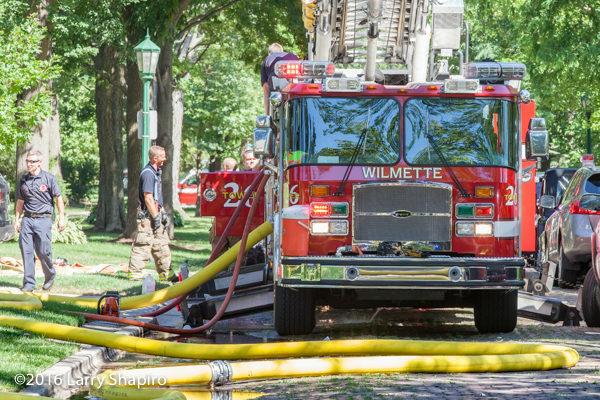 Most mutual aid companies were released before 3:30PM when RED Center dispatched another house fire in Wilmette. 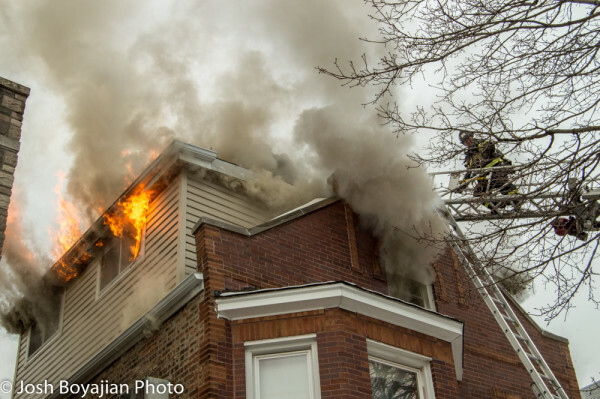 This will be covered in a separate post. 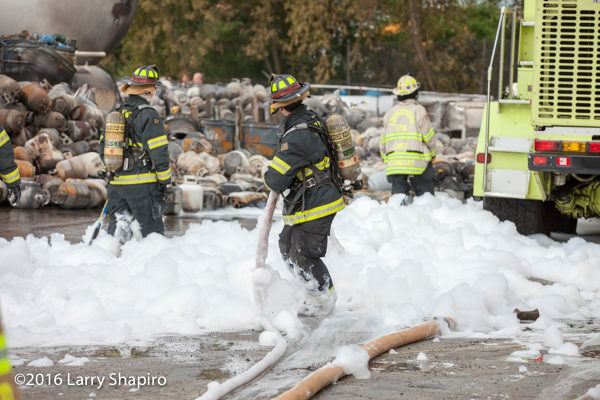 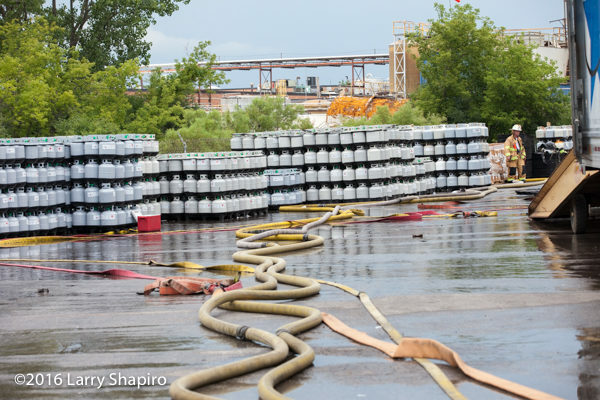 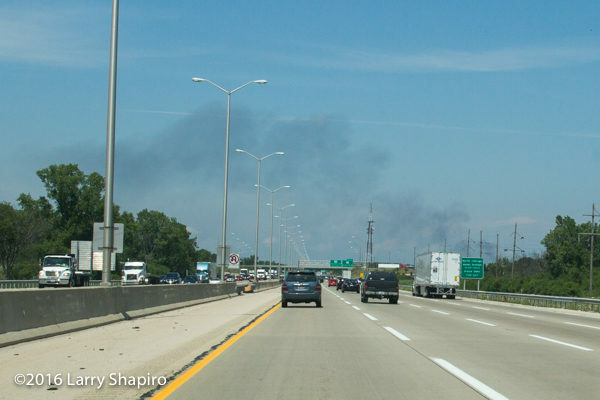 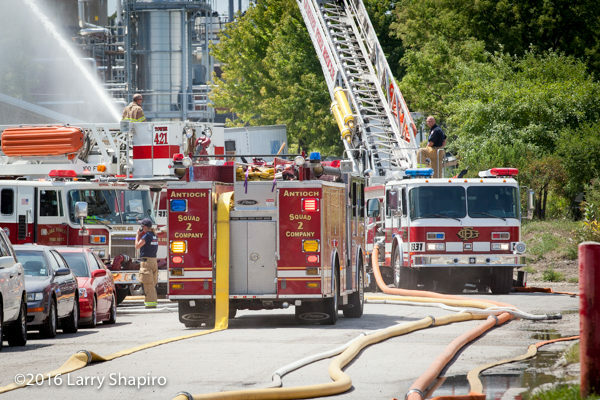 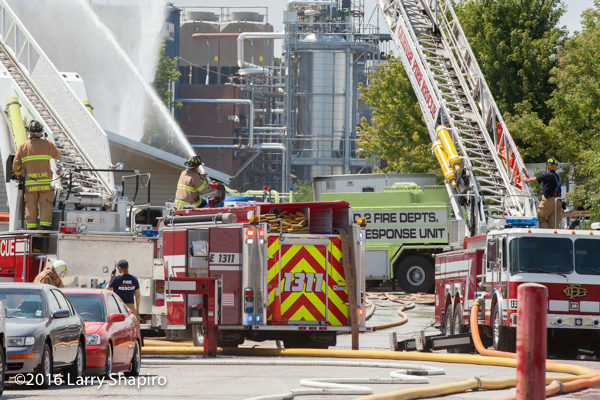 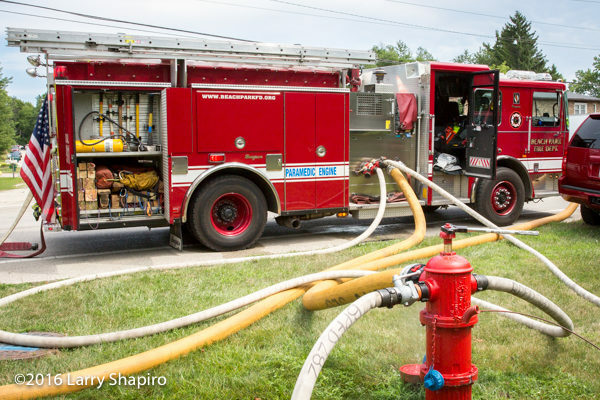 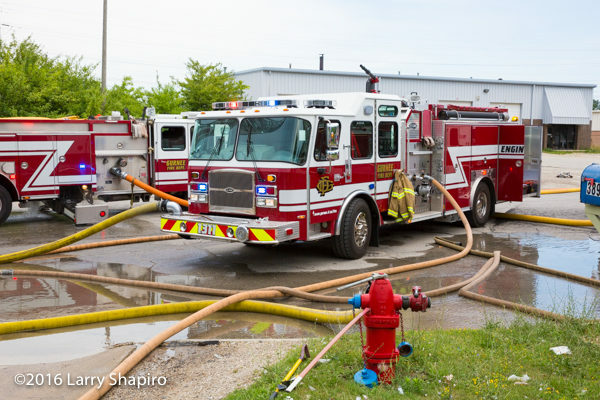 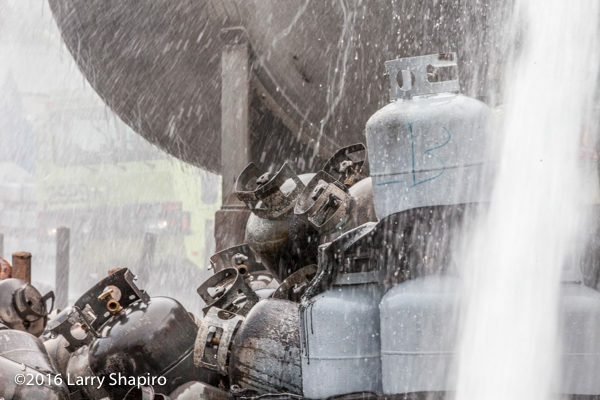 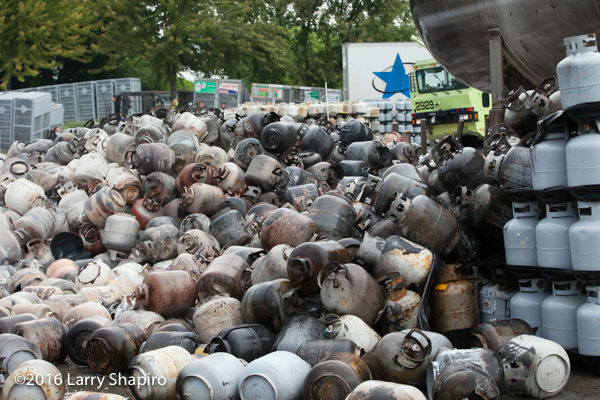 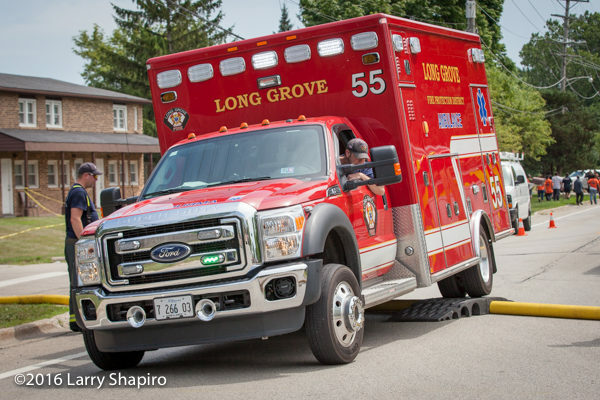 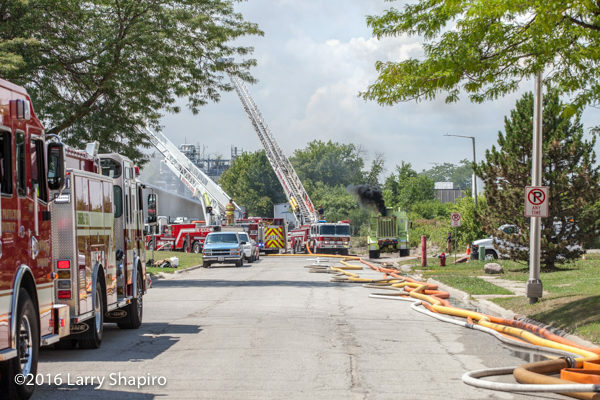 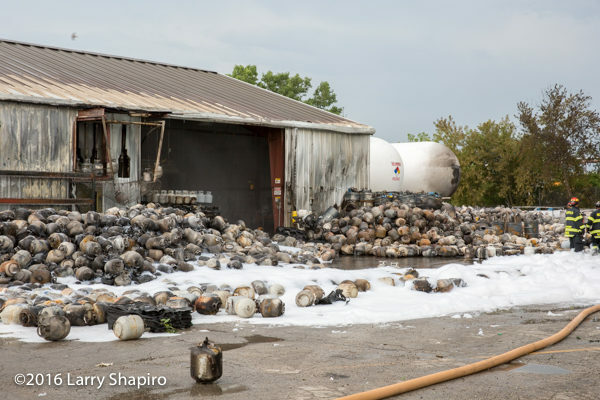 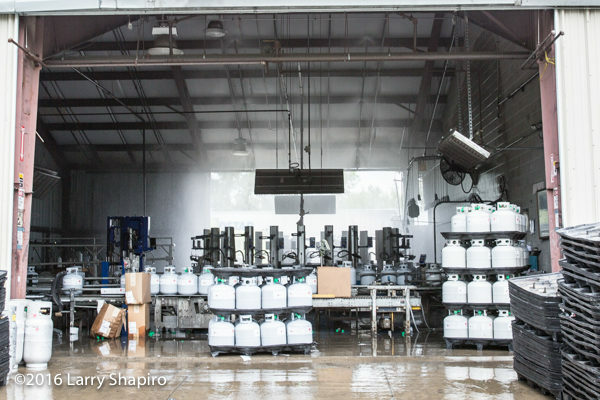 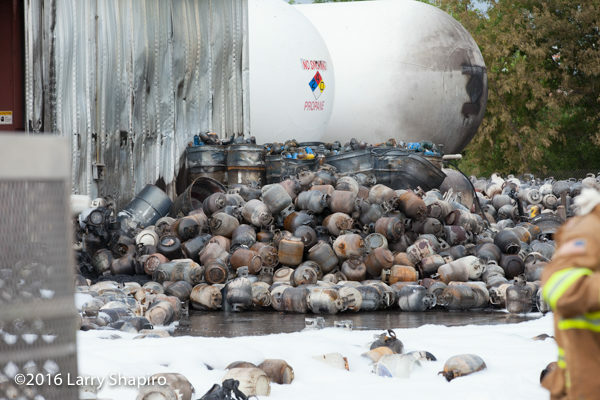 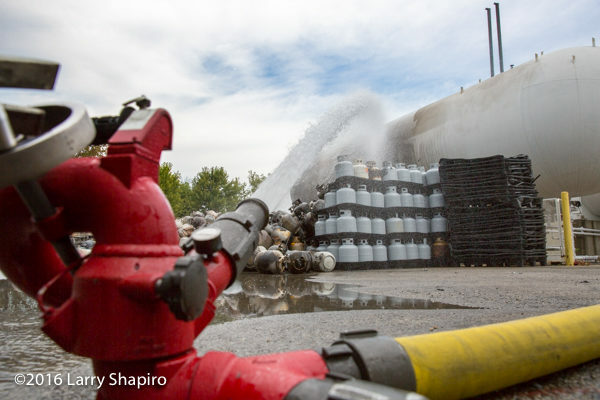 A five– seven-alarm fire at a propane-storage facility in Gurnee Thursday afternoon produced explosions. 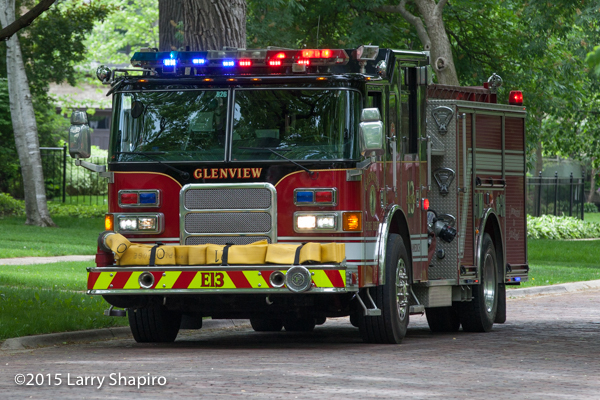 The Gurnee Fire Department reportedly received a call just before noon at 3895 Clearview Court, which is listed as the Pinnacle Propane Express. 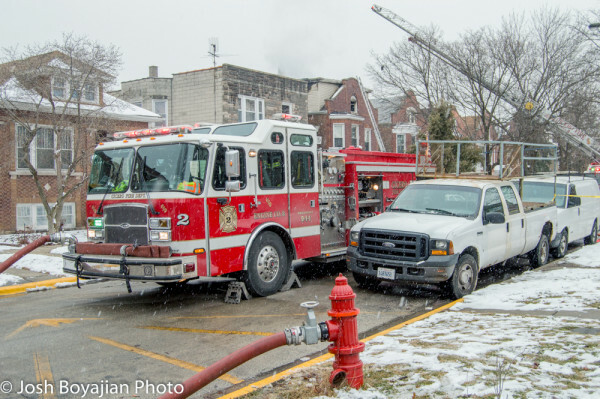 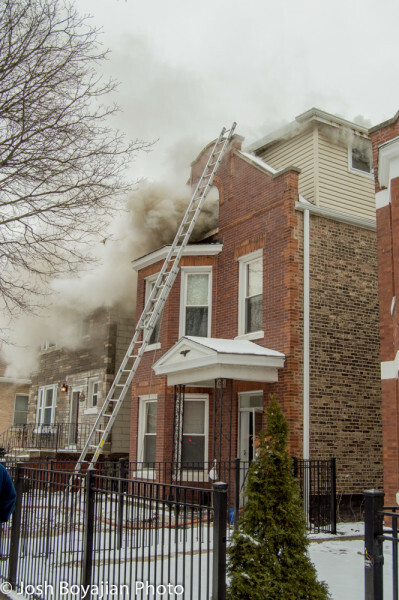 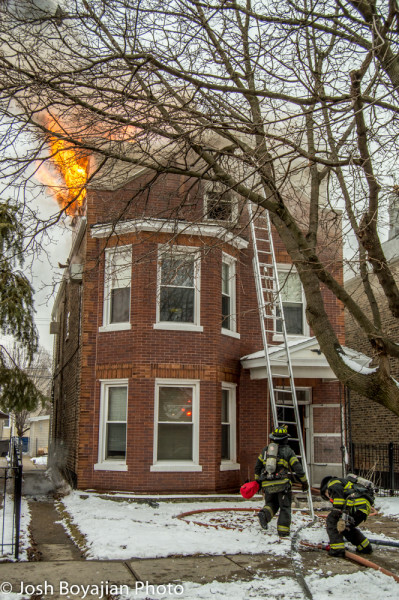 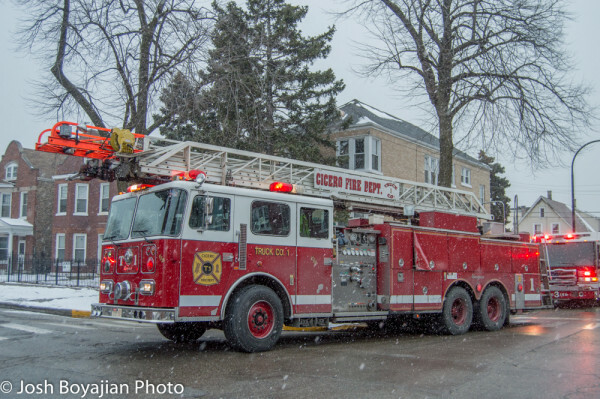 Cicero had a job this afternoon (2/16/16) @ 5332 w 23rd st. Engine 2 arrived to find smoke showing from the upper floor of a 2.5 sty ordinary with an addition on the roof. 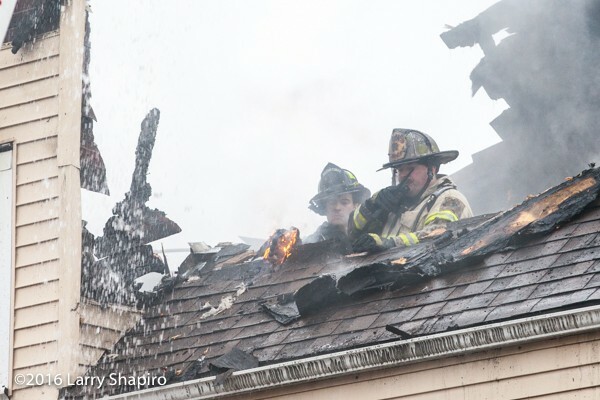 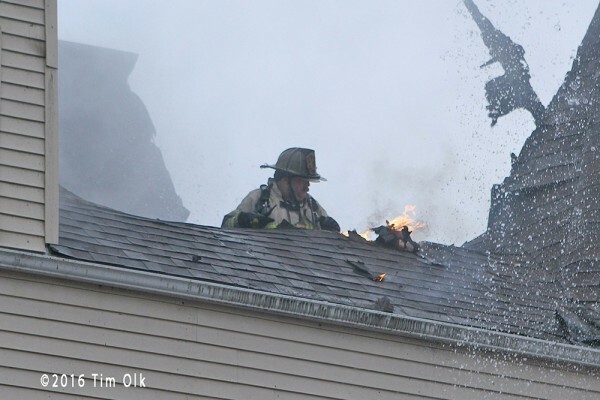 Engine 2 had two lines off, while Truck 2 made the roof. 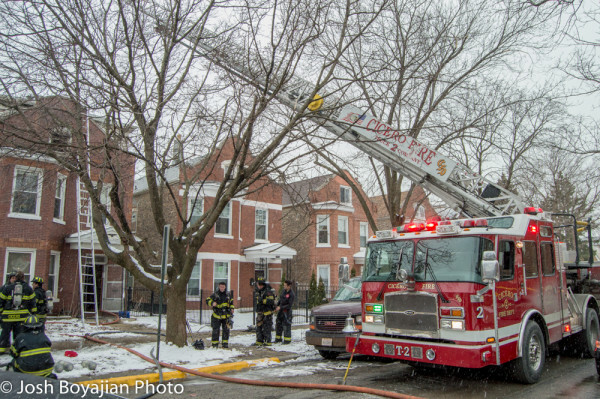 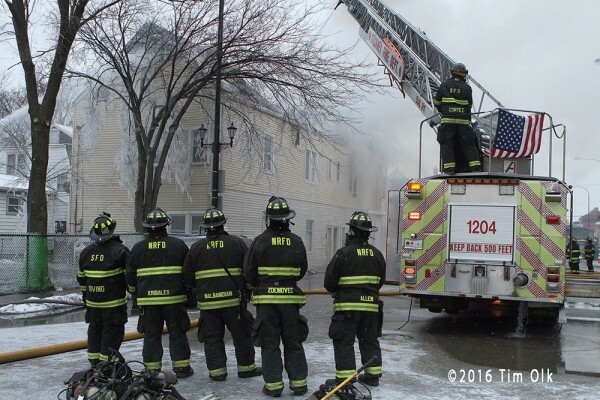 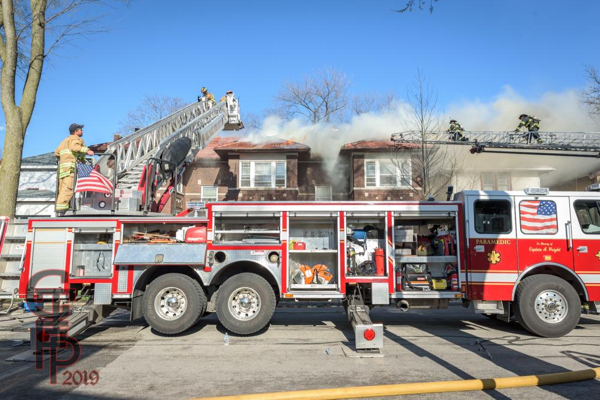 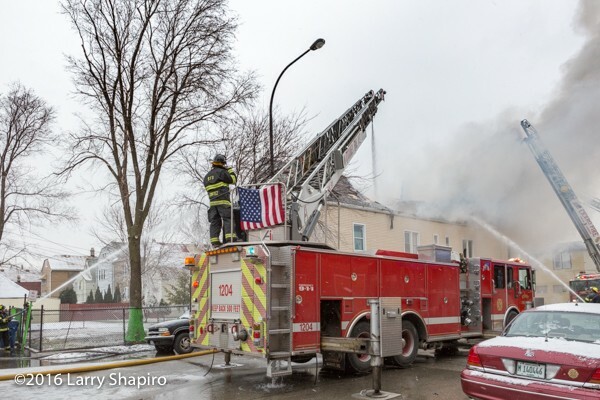 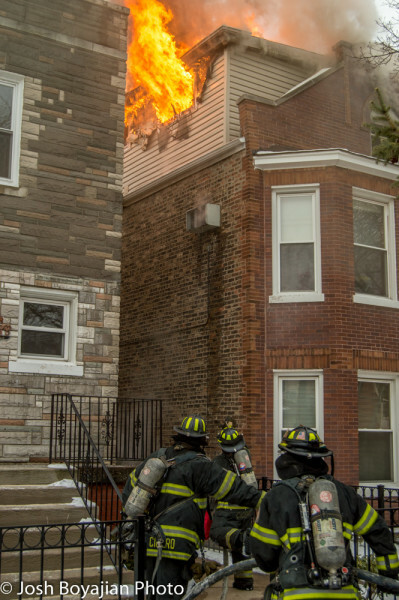 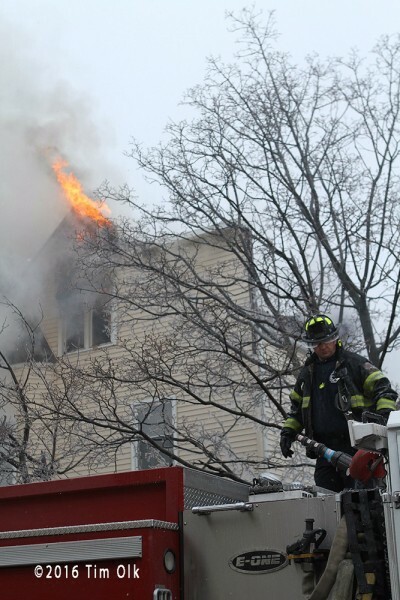 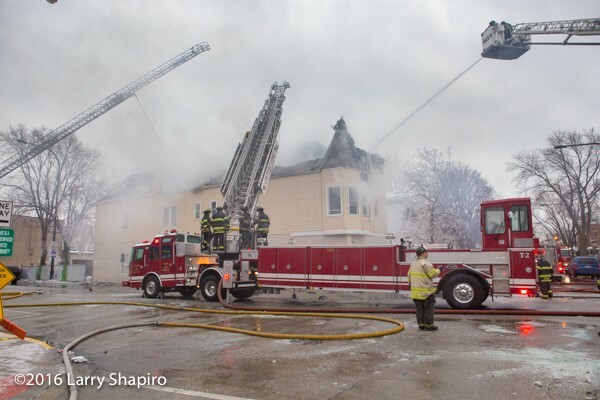 Images from Tim Olk of the Box Alarm in Cicero at 1401 51st Court 1/11/16. 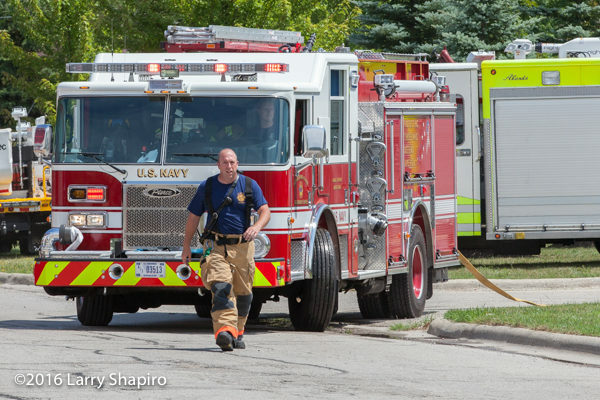 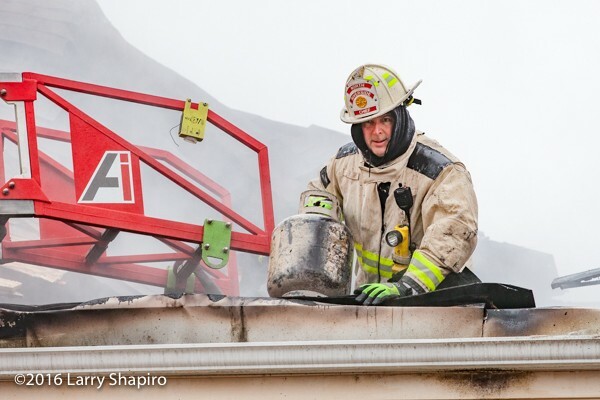 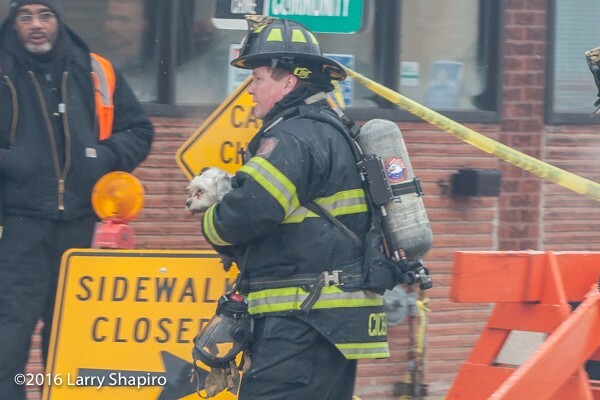 Cicero companies responded to a reported apartment fire at 1401 51st Court early Monday afternoon. 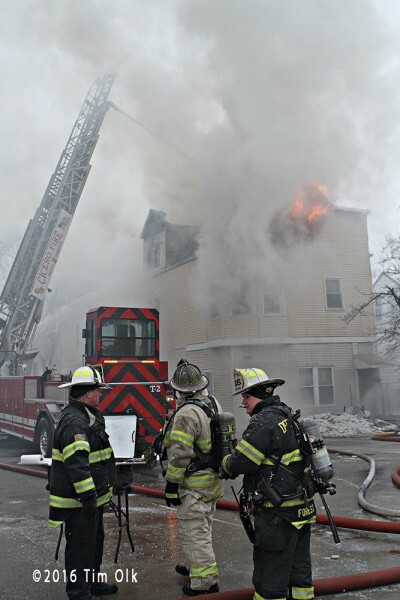 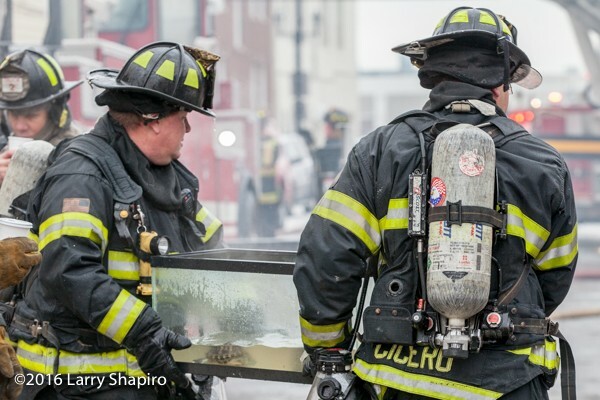 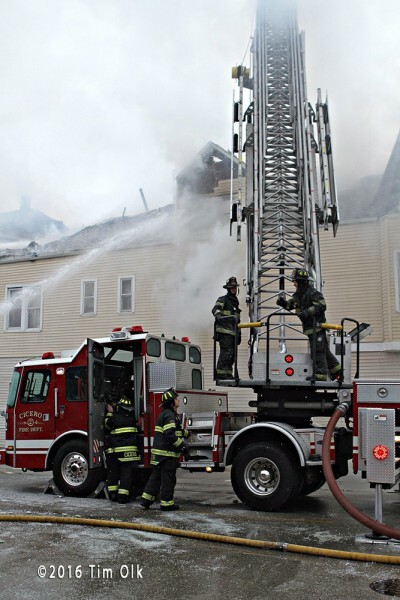 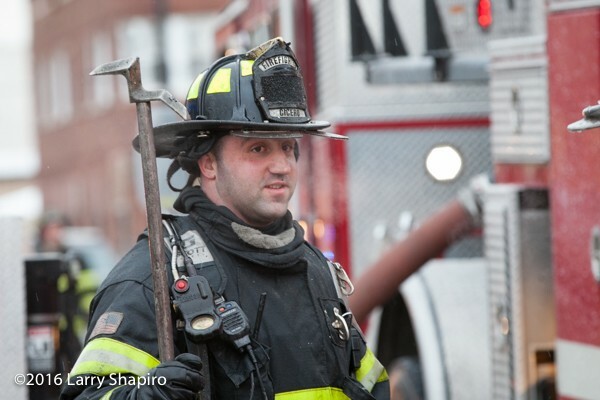 Arriving companies had smoke at the eaves of the three-story, frame, multi-unit building. 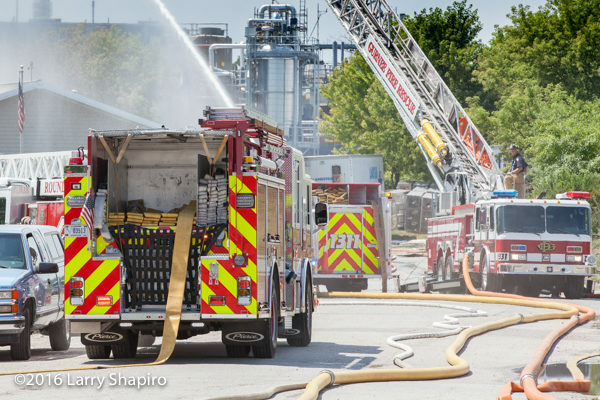 After companies were forced out of the structure they setup for defensive operations and upgraded to a Box Alarm about 30 minutes later. 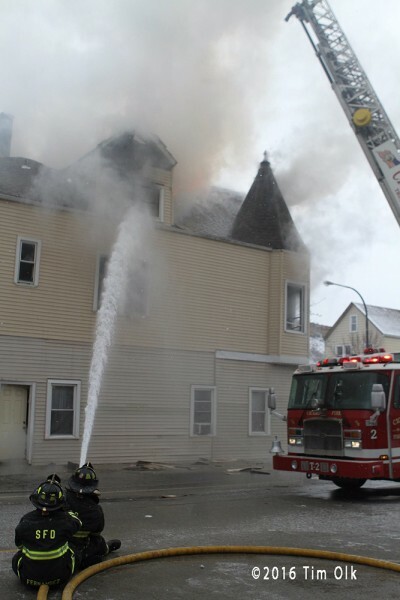 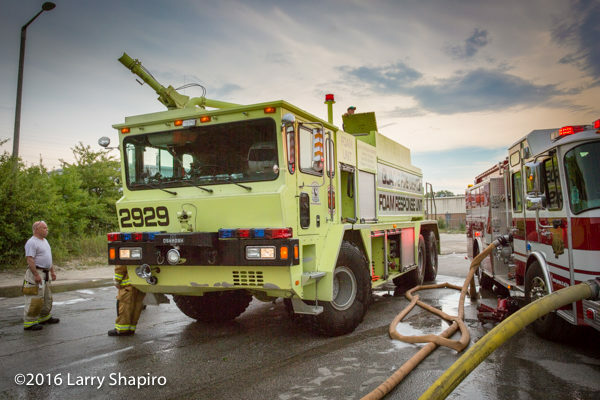 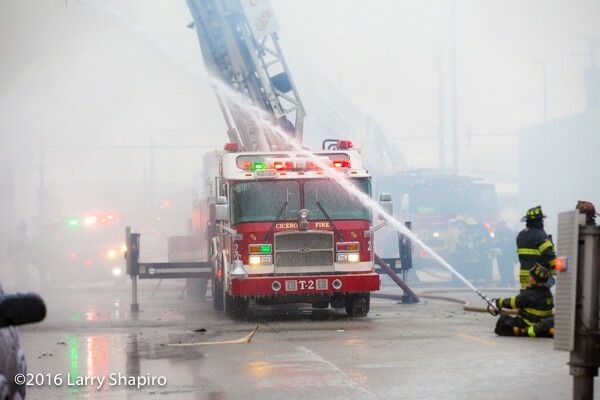 Several hand lines were used as well as master streams from Cicero Truck 2, Stickney Truck 1201, and Cicero Truck 1. 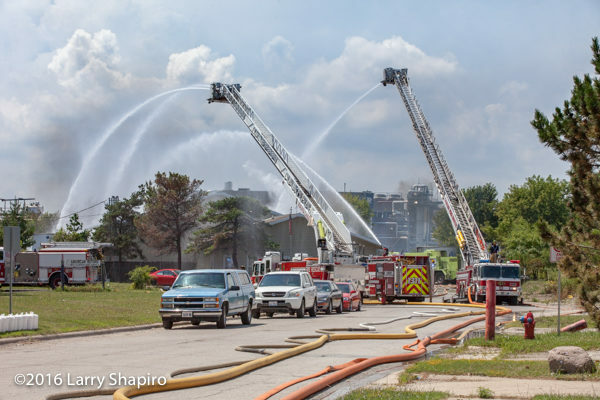 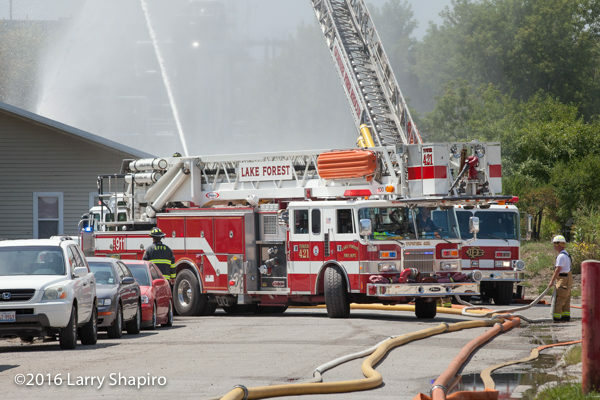 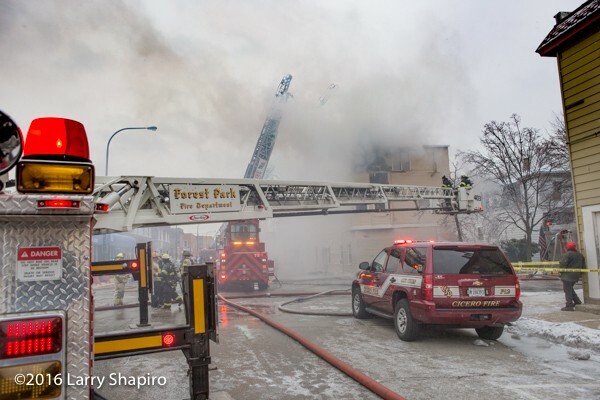 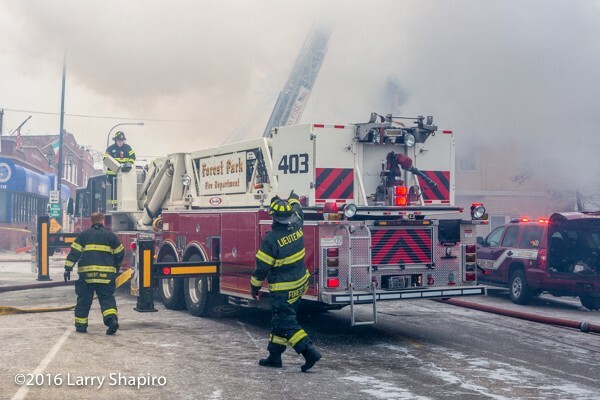 There was a special call for the Forest Park tower ladder which went into service after Cicero Truck 1 was shut down. 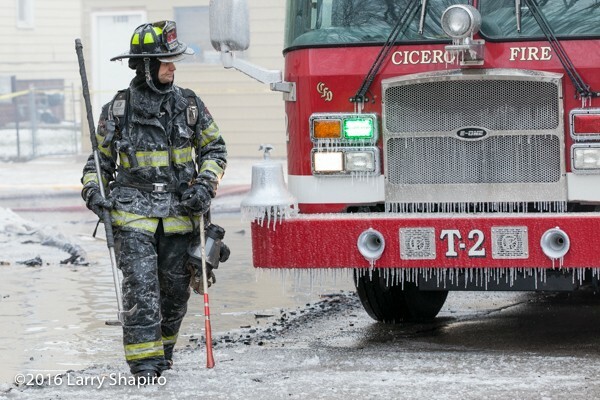 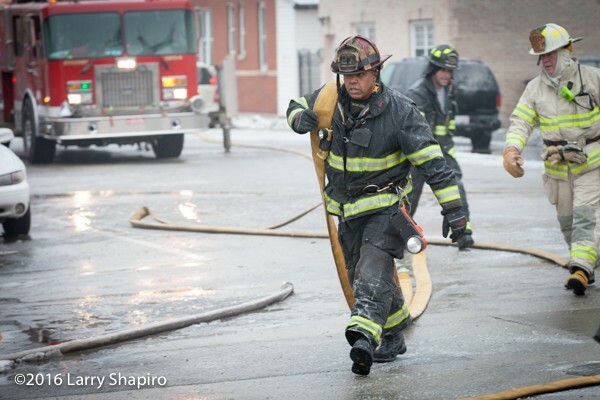 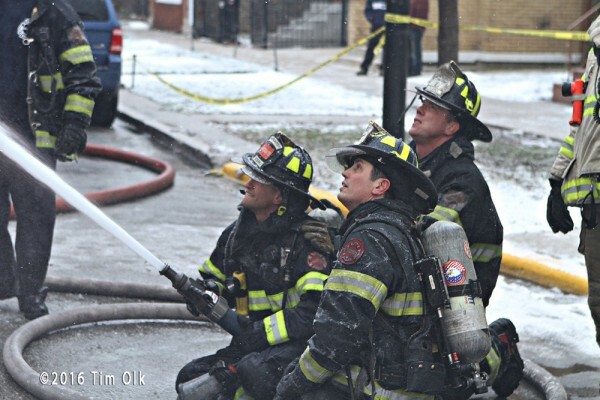 All Cicero engines were pumping in addition engines from Stickney and Lyons. 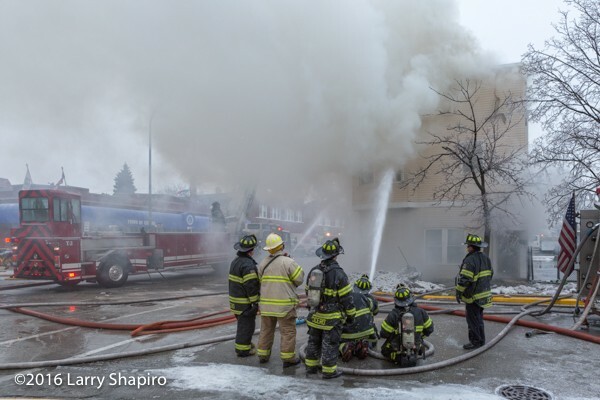 Several photographers were at the scene. 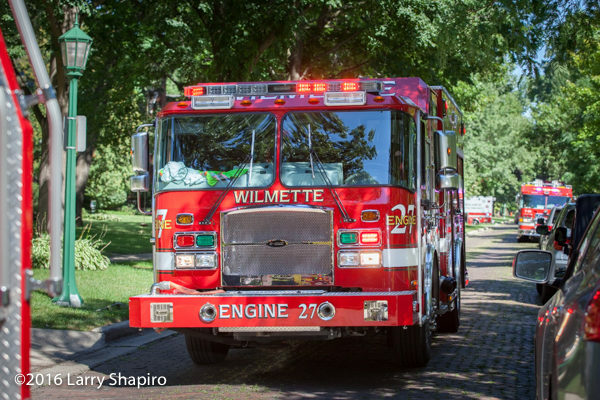 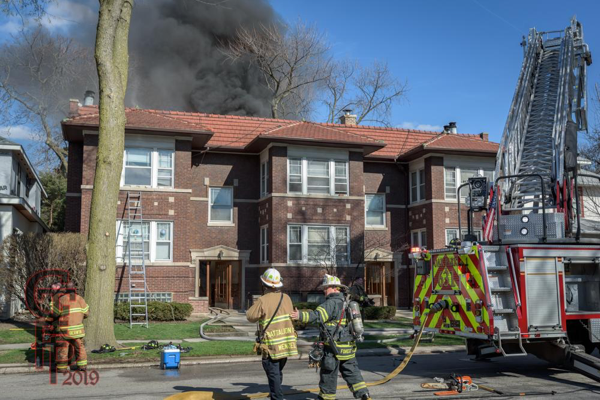 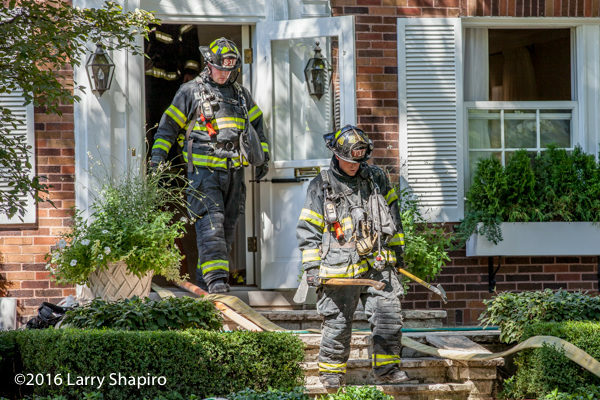 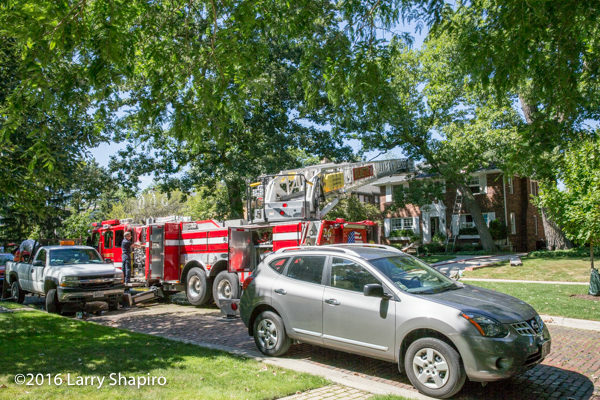 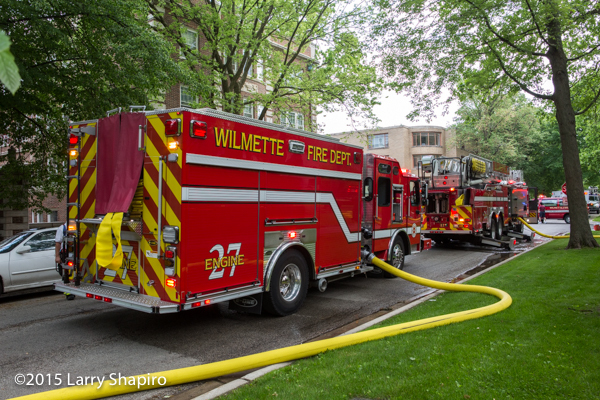 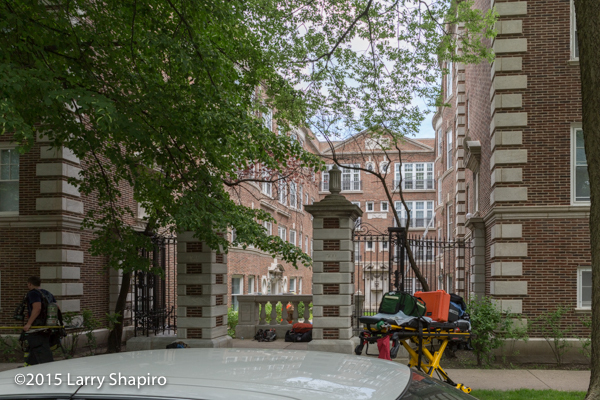 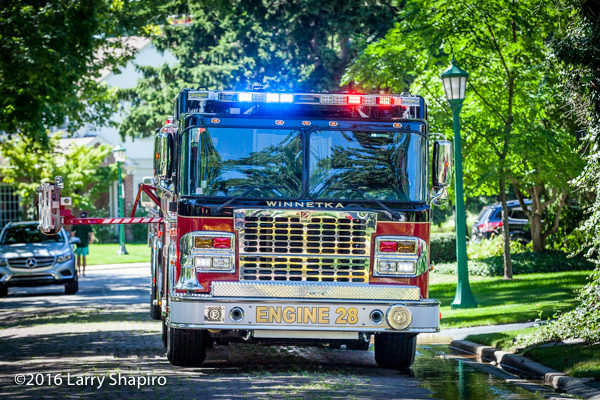 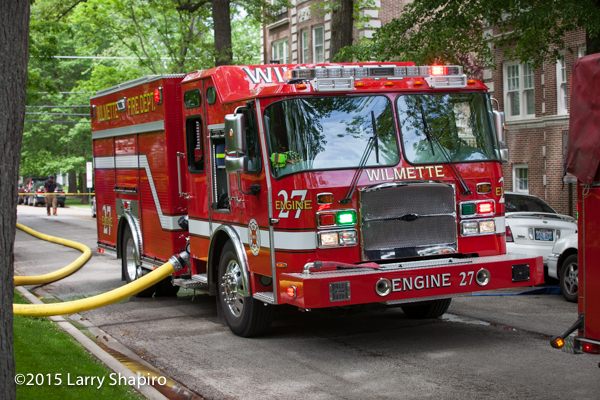 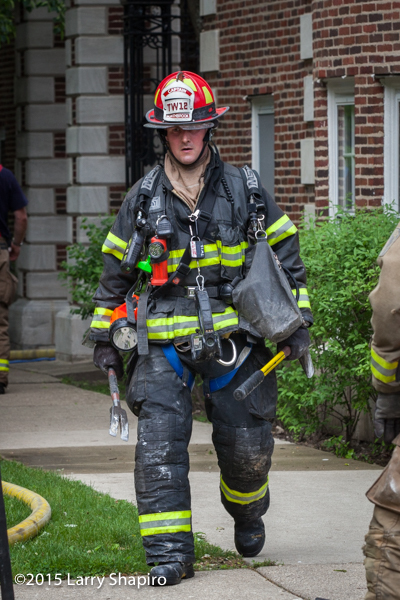 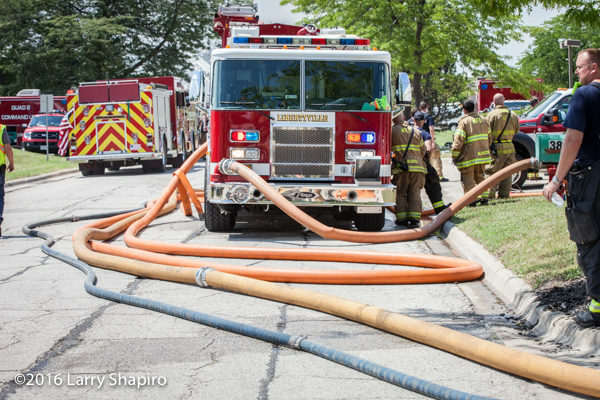 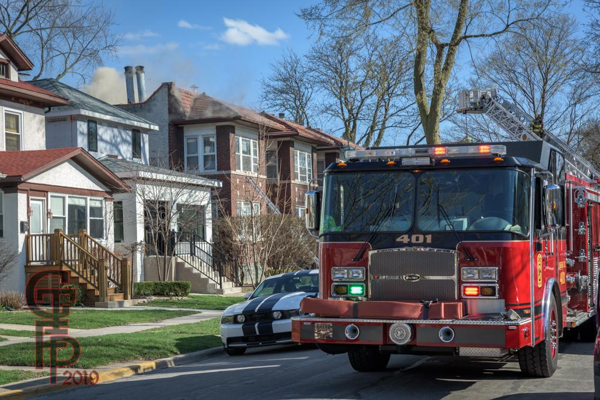 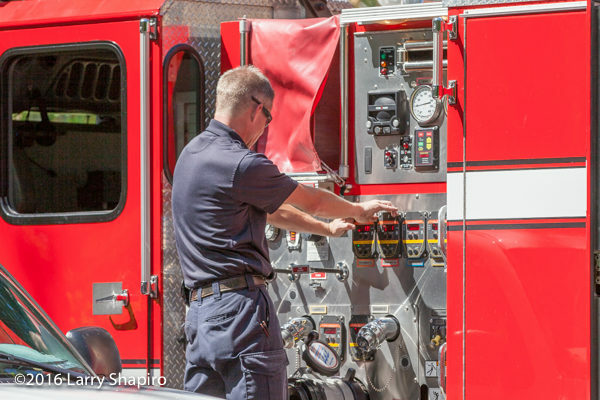 Wilmette firefighters were called to 506 5th Street Friday afternoon (5/28/15) by a resident that had smoke in their 2nd floor apartment. 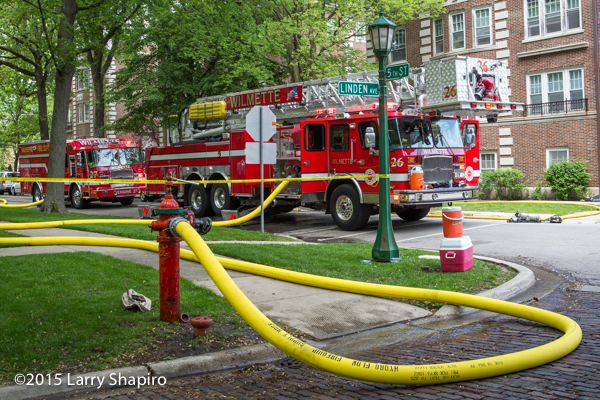 Companies arrived and found a small fire in the basement that was traveling up the pipe chase to the fourth floor. 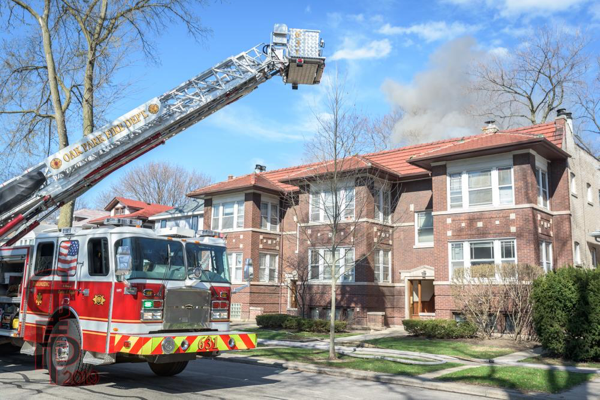 The alarm was upgraded to a Code 4 for the working fire bringing units from Skokie, Winnetka, Glenview, Glencoe, Northbrook, and Evanston as they opened walls on all floors to get at the fire.